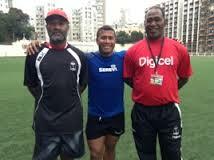 Seasoned 7s rugby coach and former player Tomasi Cama senior has taken up the assistant coach role for the Melrose Cup challenge, which 7s wizard Waisale Serevi was forced to give up due to professional and personal commitments. Cama senior was already part of the team (as trainer) for the Moscow Rugby World Cup. The Moscow 7s RWC will be held later this month.